Elizabeth Crawford wins a copy of pay attention: a river of stones. 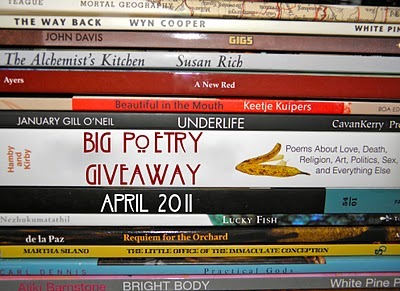 Gale also wins a copy of pay attention: a river of stones. Andrew Albert J. Ty wins a copy of James Penha’s No Bones to Carry. Congratulations to all three. If this is your first knowledge of your win, please let me know your mailing address. I have sent emails to all three. I will see my readers tomorrow for ballads. Sorry for not responding sooner. I’ve been busy, as well as having some physical problems. Thanks so much for the anthology. I look forward to reading and enjoying. This was a great idea. That’s okay, Elizabeth. I have read enough of your own comments on all your blogs to know you keep busy. I hope you are feeling better. I know of few things that sap energy more that physical problems.